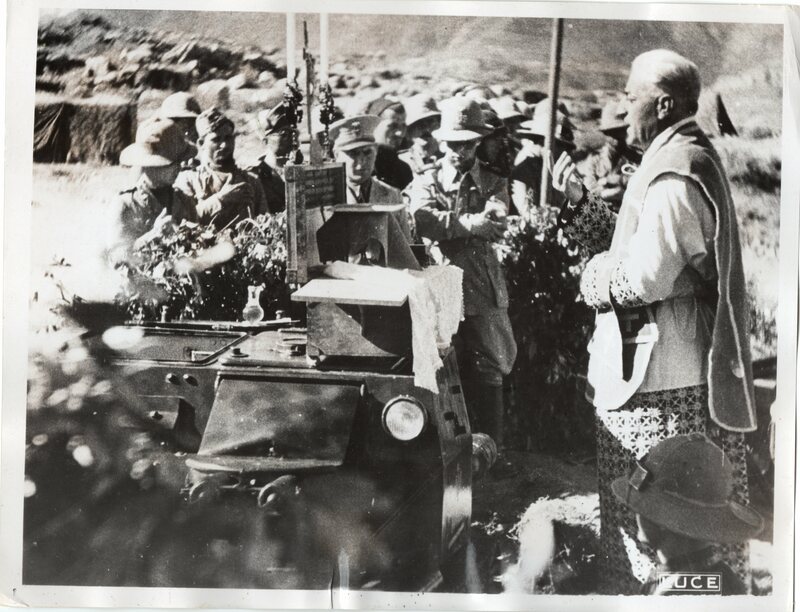 “Render unto the Lord-Military operations halt, as a chaplain officiates at a field mass, during the Italian advance on Makale, 11/19/35” (author’s collection). 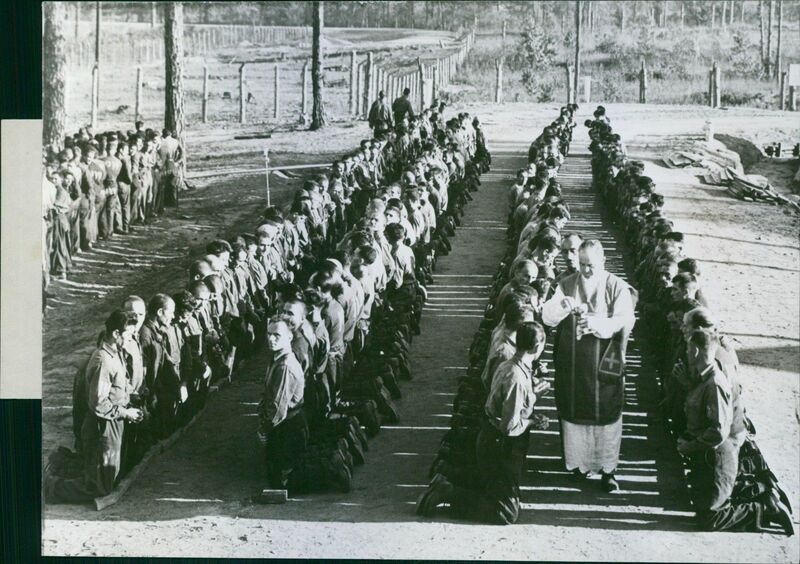 Italian Chaplain in Italian Eritrea in 1936. WW2 Italian army Father Intreccialagli-chaplain of the Legione Tagliamento, a unit of the Fascist R.S.I. 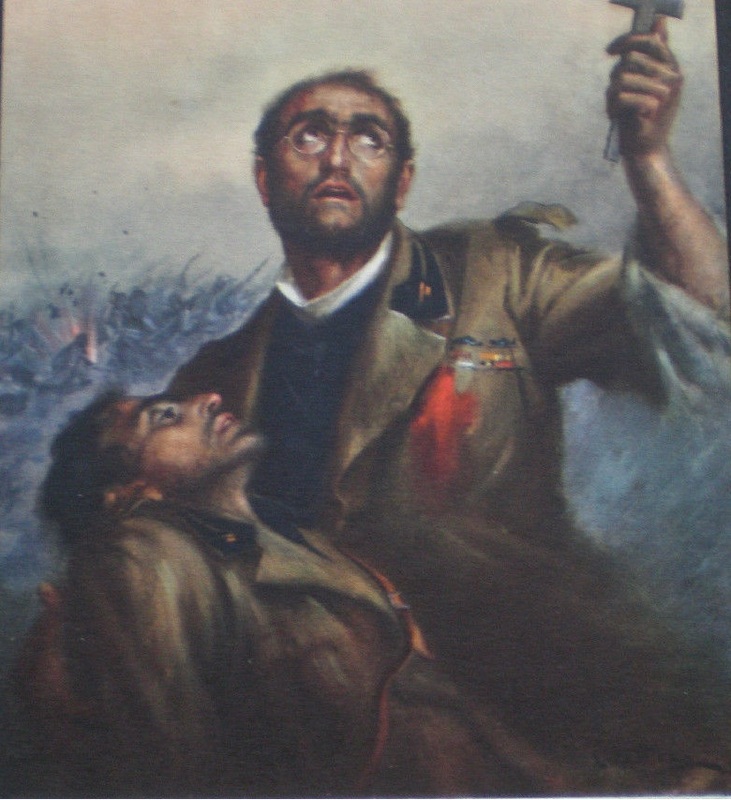 A Yugoslav partisan, who is going to be executed for sabotage, kisses the cross of a “Black Shirts” chaplain after last confession.